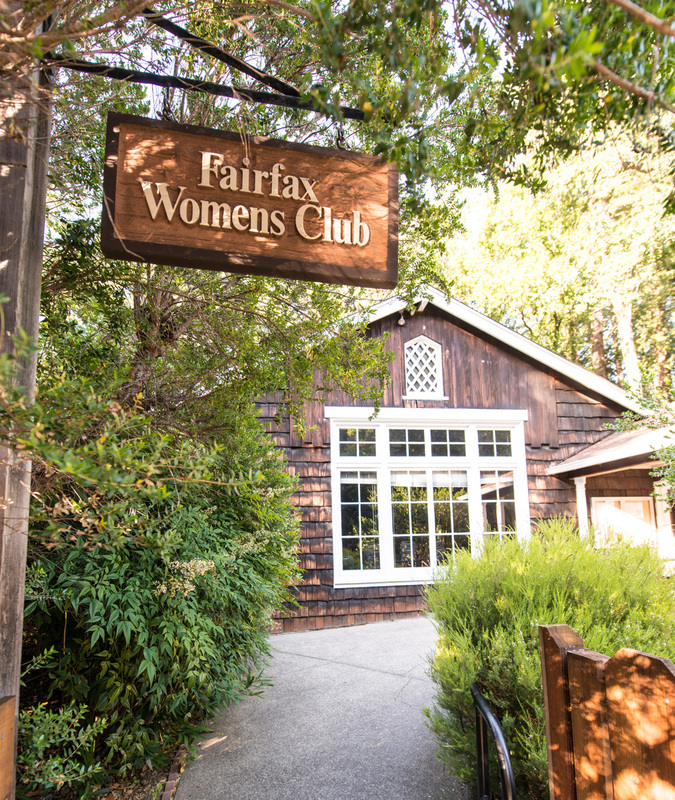 The Fairfax Women's Club donated this building to the Town of Fairfax and it soon became the central meeting place for the town's residents. Today the building, which is located in Peri Park, is home to a variety of community meetings, activites and special events. Bordering the facility are the Bocce Ball court, seasonal gardens, playground and the wooded creek. You can rent this historic building. There is a dance floor and stage, and a limited amount of chairs and tables. Anniversaries, community gatherings or a special birthday, you can do it all here! Groups requesting non-profit rates must show IRS certification of tax-exempt status to qualify for lower rate. $450 damage and security deposit ($550 if alcohol is served) is required to reserve the building, and a $75 (non-refundable maintenance fee is charged for ongoing building maintenance. The deposit is refunded if the building is left in the same or better condition. For further details on capacity, day rates and what is included, please see the Facilities Use Form.